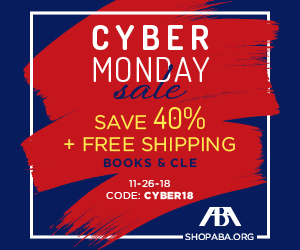 On Monday, November 26, the American Bar Association (ABA) will offer a Cyber Monday promotion of 40% off + free shipping. One of the works being offered is the “ABA Sales & Use Tax Deskbook.” I’m co-author of the Hawaii chapter. If you’re interested, head to https://www.americanbar.org/products/inv/book/345782509/. Posted on November 16, 2018 November 16, 2018 Categories News and UpdatesLeave a comment on ABA Sales & Use Tax Deskbook — Cyber Monday Deal!